Nights in white satin tenor banjo / mandolin sheet music in the key of G. The easy banjo letter notes for the song are included.This song was a hit for the Moody Blues in the 1960's. 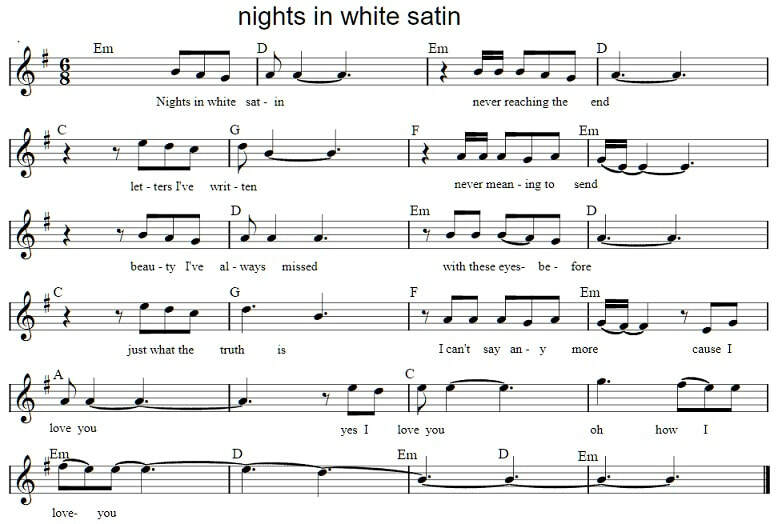 Nights in White Satin sheet music for Mandolin and tenor Banjo in the key of G Major. Below is the sheet music and it's where I took the basic notes from for the mandolin.